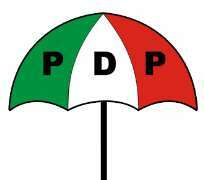 The Supreme Court Thursday barred the Peoples Democratic Party (PDP) from carrying out its planned campaign kick-off already slated for Saturday. This followed an undertaking extracted by the court from Mr. Paul Erokoro and Mr. Garba Pwul, representing the party, its National Chairman, Alhaji Bamanga Tukur and Mr. Tony Nwoye respectively. The Vice-President, Alhaji Namadi Sambo, was billed to lead the party's campaign in the state. Also yesterday, the court stopped Senator Andy Ubah from joining in the appeal seeking to decide who should be the authentic candidate of the PDP in Anambra State. In a ruling delivered at about 6:30 yesterday, the Supreme Court refused Ubah's application to be joined in the appeal filed by Ukachukwu challenging the declaration that Nwoye was the candidate. The Federal High Court sitting in Port Harcourt had earlier declared Nicholas Ukachukwu as the candidate of the party but this was reversed by the Court of Appeal, Port Harcourt division wherein, Tony Nwoye was declared as the authentic candidate. Not satisfied, Ukachukwu through his counsel, Joseph Daudu, SAN approached the apex court challenging the judgment of the lower court. When the matter came up yesterday, Daudu noted that the court should order a stay of execution of the Court of Appeal decision stating that the party was planning to handover the flag to Nwoye on Saturday. Counsel to PDP and Nwoye, Paul Erokoro SAN and Garba Pwul, SAN respectively gave an undertaken that none of their clients would do anything to tamper with the subject matter so as not to over reach the court. Ubah had earlier through his counsel, Lateef Fagbemi, SAN brought an application seeking for leave to be joined as an interested party in the appeal between Nwoye and Ukachukwu which will be coming up before the court on Monday. However, joined as respondents are the PDP, Independent National Electoral Commission (INEC), Nwoye and Ukachukwu. Fagbemi hinged his application on the grounds that it was the recognised state executive of the party that conducted the primary that brought Ubah. He further submitted that the Federal High Court had earlier given an order that the primary election could only be conducted by the Ejike Ogbeigbo led executive which the INEC complied with. He submitted that the lower court turned down his client's application to be joined as a party before it hence the need to seek for a joinder before the final decision was reached by the apex court. Opposing the application, counsel to the PDP, Erokoro submitted that the application was an abuse of court process as the applicant had earlier filed an appeal which had been entered and pending before the court. He argued that contrary to the submission of the applicant, the national executive of the party was the only authority that had the power to conduct congress where party candidate for a gubernatorial election would emerge and prayed the court to dismiss the application. Counsel to Nwoye, Pul opposed the application stating that the order which the applicant was relying on was given after the primary election had been conducted, submitting that the order could not have a retrospect effect. He argued that the application brought by the applicant if granted would delay and complicate the existing appeal which the court had fixed Monday for hearing. He therefore urged the court to dismiss the application. While also opposing the application, counsel to Ukachukwu, J.B Daudu SAN argued that it was incompetent because the applicant had failed to file a notice of appeal alongside with application seeking leave to be joined. He argued that the application was an abuse of court process as the applicant had already filed an appeal which was pending before the court and prayed the court to dismiss the application. After listening to the parties, the court rose for about one hour to write its ruling. In its ruling, the court held that the judgment of the court of appeal relied on by Ubah was not certified and therefore could not be admitted by the court. It further held that there was a pending appeal filed by the applicant before the court and this instant one had constituted an abuse of court process. The court, as a result, dismissed the application as being unmeritorious. Meanwhile, the PDP yesterday inaugurated its National Campaign Committee, with an advice to the voters to disregard the candidate and vote for the party. Sambo said that though the party is commencing the campaign rather late, but warned that one week was not late to ensure that PDP wins the governorship election. “I want to remind you that we have a strong battle and we will win this battle by the Grace of God,” said Sambo who appealed to PDP members that have left the party to come back and ensure victory for the party. Speaking before inaugurating the campaign committee, Tukur charged the electorate in Anambra State to disregard the candidate but the party as there is no independent candidate in elections in Nigeria. “It is not the messenger but the party. There is no independent candidate in elections,” he said while charging the campaign committee led by the Sambo to ensure that PDP comes victorious at the election.